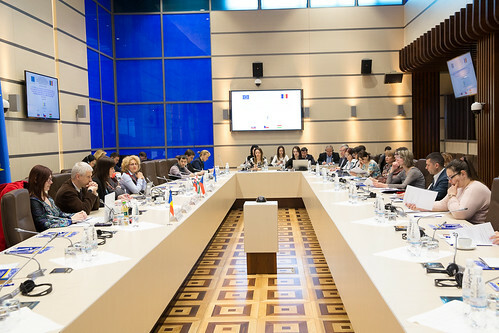 Chisinau, 09 April 2019 – The sixth Steering Committee Meeting of the EU-funded Twinning Project “Strengthening the capacities of the Parliament of Moldova for EU approximation process” was held today for the purpose of evaluating the activities conducted during the sixth Project implementation quarter, covering the period between 16 December 2018 – 15 March 2019, and the results achieved therein, as well as for presenting the schedule of activities planned for the seventh quarter. The event, hosted by the Parliament of the Republic of Moldova, reunited the Beneficiary Country and the Member States Project Leaders, the Resident Twinning Adviser and her Counterpart, the representatives of the Delegation of the European Union to the Republic of Moldova, the Head of the General Legal Directorate of the Parliament of the Republic of Moldova, the representative of the State Chancellery, and the representative of the Hungarian Embassy to Chisinau. In her opening speech, the Resident Twinning Adviser, Ms. Natália Švecová emphasized that “the Twinning Project was the first donor organization to ever provide a Training of Trainers for staffers of the Parliament administration. The group of 15 selected trainers would be able to ensure the sustainability of training activities by continuing to provide them after the Project ends”. The RTA reported that in the 6th quarter the Project managed to conduct 9 Activities within the framework of 23 expert missions, with the participation of 28 high-profile experts from the Parliaments and Governments of the Czech Republic, the Slovak Republic, Hungary, Poland, Belgium and France. She proceeded with a brief description of activities implemented in each Project Component and of their outputs, that included several Guidelines, Training Manuals, and Joint peer review reports on 5 draft laws. Ms. Švecová also informed that the Twinning Project prepared and printed visibility materials on the role of the Moldovan Parliament in the Association Process for both the newly elected MPs and the general public. Mr. Štěpán Pecháček, Member State Senior Project Leader, Director of the Parliamentary Institute, Parliament of the Czech Republic thanked the Project team for their efforts and praised the good partnership with the Moldovan Parliament counterparts. He presented the progress plan for the seventh Project implementation quarter, describing the activities to be conducted in each Project Component. The Project Leader repeatedly pointed out the importance of the series of 7 roundtable discussions to be held with Members of parliamentary standing committees on specific titles of the Association Agreement. The BC Project Leader, Mr. Igor Klipii, Deputy Secretary General of the Parliament of the Republic of Moldova, mentioned the smooth organization of activities, as well as the high level of involvement of Parliament staff and the good results achieved. He expressed his hopes that the remaining activities would be implemented with the same efficient cooperation of Twinning partners. The next Steering Committee Meeting of the Twinning Project will be held in July 2019 and will be focused on the activities implemented during the seventh Project implementation quarter. The Twinning project is funded by the European Union, with a budget of 1.5 million EUR, and is implemented in partnership with the Chamber of Deputies of the Parliament of the Czech Republic, the Hungarian National Assembly and the National Council of the Slovak Republic over the course of two years, from 16 September 2017 to 15 September 2019. 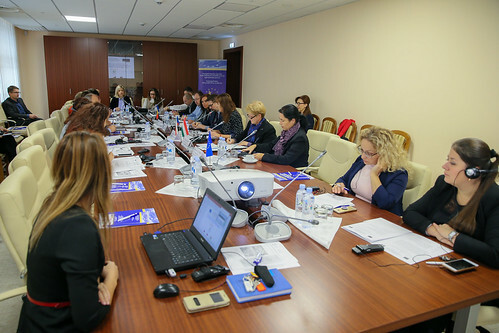 Chisinau, 26 March 2019 – Since the beginning of the Twinning Project in September 2017, 4 study visits were carried out to the EU Member States implementing the Project – Hungary, Czech Republic and Slovakia – involving a total of 37 parliamentary staff members – civil servants from the Beneficiary institution. During 18-22 March 2019, the Twinning Project organized a five-day Study Visit to Czech Republic and Slovakia for 13 staff members of the Secretariat of the Parliament of the Republic of Moldova in order to see, in situ, practical organization of the interinstitutional cooperation mechanisms between Parliament and Government, especially at the parliamentary level, but also with reference to the duties of the executive branch involved in EU legal approximation work and compliance checks. The program of the study visit started in the Chamber of Deputies of the Parliament of the Czech Republic where the members of the Moldovan delegation had meetings with the representatives of the Parliamentary Institute and Office of the Government to familiarize with the Czech experience in practical application of mechanisms related to Parliament – Government relations, with a focus not only on the previous association and accession period, but also on currently applied mechanisms enabling Parliament’s active role in oversight over Government. The second part of the study visit was hosted by the National Council of the Slovak Republic centered on specific case studies on best practices and challenges in the association and pre-accession period in transposition of EU legislation. The participants got an inside view on how these mechanisms and working methodologies had to be created and their subsequent development. Moreover, the Moldovan representatives were honored to learn about the role of the European Affairs Committee from the Vice-Chair of Committee, Mr Martin Klus - MP of the National Council of the Slovak Republic. Mr Klus described the main activity and composition of the Committee, with particular attention to EU-related matters and approximation tasks in relation to performing oversight over Government and other issues pertaining to the membership of the Slovak Republic in the European Union, pointing out that the Slovak model represents a so-called “mixed system of monitoring EU affairs in the National Parliament”. This study visit was organized under the EU-funded Twinning project for the Republic of Moldova “Strengthening the capacities of the Parliament of Moldova for EU approximation process”. The project is being implemented between September 2017 – September 2019 by the Chamber of Deputies of the Parliament of the Czech Republic, National Council of the Slovak Republic and Hungarian National Assembly, in cooperation with the Parliament of the Republic of Moldova. 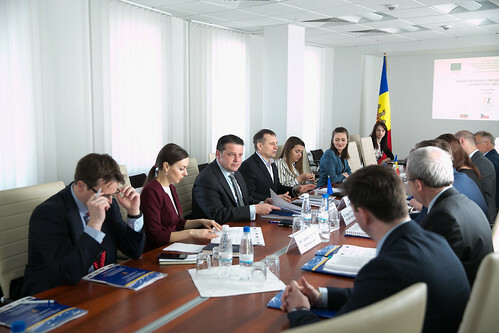 Chisinau, 02 April 2019 – A workshop summarizing the results of the 45 peer review exercises conducted by the Twinning Project was held today in the Parliament of the Republic of Moldova. Peer reviews are practical exercises providing on-the-job training for staff members of the Parliament and of the Government, where Twinning experts review particular draft laws registered in the Parliament and check whether they comply with the EU acquis. The workshop was organized under the framework of Component 3 “Final versions of legal initiatives in the context of EU approximation are revised against relevant directives for ensuring EU compliance” of the Twinning Project and, in addition to evaluating the results of conducted peer reviews, aimed to provide recommendations on further improving the compliance checking methodology used in the Parliament. Ms. Natália Švecová, the Resident Twinning Adviser informed that „so far, the Twinning Project has implemented 45 peer review missions on 20 draft laws from 10 policy areas, including environment, agriculture, financial policy, transport, fundamental rights. Tangible legislative results had been achieved in six cases, when Twinning Project recommendations were accepted by the lead parliamentary standing committee, incorporated in the draft law and subsequently adopted by the Parliament”. She emphasized that the purpose of peer review exercises was to train the staff and to discuss and compare the compliance checking methodologies used in Member States’ Parliaments, as well as to help improve the practice of the Moldovan Parliament. Ms. Švecová reported that more than 53 Parliament employees and 31 Government representatives had been involved and trained during the peer review missions and related activities. The Twinning Project experts, Ms. Darina Nezkusilová, Legal Adviser, Department of European Affairs, Chamber of Deputies, Parliament of the Czech Republic; Ms. Katarína Onušková, Legal Advisor, Department of Legislation and Approximation of Law, National Council of the Slovak Republic; Ms. Klára Szalay, Legal Advisor, Hungarian National Assembly; and Mr. Péter Dévényi, Legal Expert, Senior Councilor, Ministry of Justice of Hungary referred to their experience as experts involved in several peer review exercises, described their compliance checking techniques and provided an overview of challenges, suggestions and recommendations for improving compliance checking methodology. This workshop was organized under the EU-funded Twinning project for the Republic of Moldova “Strengthening the capacities of the Parliament of Moldova for EU approximation process”. The project is implemented between September 2017 – September 2019 by the Chamber of Deputies of the Parliament of the Czech Republic, National Council of the Slovak Republic and Hungarian National Assembly, in cooperation with the Parliament of the Republic of Moldova. 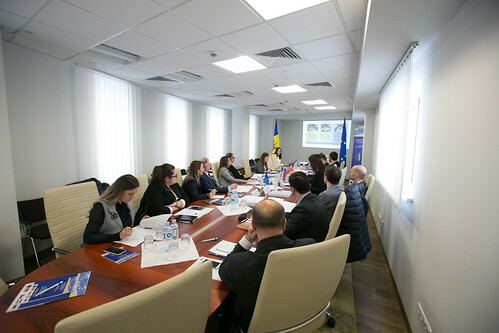 Chisinau, 19 February 2019 – After successfully implementing the General, Specialized and EU acquis case studies Training Programs, the Twinning Project initiated a new series of interactive workshops under the framework of the Training of Trainers Programme of Component 2 “Level of understanding of the EU acquis in the Parliament is improved through all relevant sectors”. The series consists of 3 workshops focused on presentation skills, principles of adult education, and EU databases and aims to build the capacity of 15 future trainers so to ensure the sustainability of Twinning Project activities and the continuation of trainings on EU matters after the Project ends. The Twinning Project experts, Mr. Stanislav Caletka, Consultant, Department of Communication and Education, Parliamentary Institute, Chamber of Deputies, Parliament of the Czech Republic and Ms. Petra Ďurinová, Research Analyst, Parliamentary Institute, National Council of the Slovak Republic shared their firsthand experience with delivering presentations for different audience target groups and explained the tips and tricks of an effective presentation, how to plan and prepare a training activity, and the type of EU-related topics to be covered in different types of trainings. The workshop ended with a practical assignment involving a simulation exercise on how to organize a training activity and the type of EU-related topics to be presented to the Members of Parliament after elections. The second workshop under the framework of the Training of Trainers Programme will take place in March 2019. Chisinau, 12 February 2019 – An important series of 4 practical capacity-building workshops with cases studies on transposition of the EU acquis was concluded today by the Twinning Project, with a final workshop dedicated to case studies on the agricultural policy area, a topic of key importance for any country at the association stage. The workshop was organized in three sessions, each of them presenting the practices and challenges of transposition of the EU agricultural acquis in Hungary, Slovak Republic and Poland during the association and pre-accession periods. Ms. Natália Švecová, Resident Twinning Adviser, informed in her introductory speech that “cases studies involve a detailed presentation by the Twinning experts of how a particular EU acquis policy area was reflected in the national legislation of particular Member States, as well as of the laws adopted or amended and of the overall policy intention behind”. The Twinning Project experts, Mr. Péter Dévényi, Legal Expert, Senior Councilor, Ministry of Justice of Hungary; Ms. Katarína Onušková, Legal Advisor, Department of Legislation and Approximation of Law, National Council of the Slovak Republic; and Mr. Wojciech Miller, Legislation Specialist, Legislative Bureau, Sejm of the Republic of Poland addressed topics directly connected with implementation of the EU acquis, such as organic agri-food production and labelling, control of compliance with quality requirements for fresh fruit and vegetables, creation of Producers' Organizations, but also discussed several related issues, not regulated by the EU acquis, like land consolidation, change of land categories and requirements for acquisition of agricultural land by foreigners, that pose particular interest for the Republic of Moldova at this stage of implementation of the Association Agreement. The series of 4 workshops with cases studies on transposition of the EU acquis was conducted under the framework of Component 3 “Final versions of legal initiatives in the context of EU approximation are revised against relevant directives for ensuring EU compliance” of the Twinning Project. The workshops tackled 4 major areas of the EU acquis: food safety, environment, social policy and agricultural policy and were attended by a total number of 43 participants representing both the Parliament Secretariat and the Government. All PowerPoint presentations delivered during the workshops were supplemented by Training manuals, providing detailed information on the topics discussed and lists of useful links. Chisinau, 05 February 2019 - The series of four workshops on transposition of EU acquis continued with the third activity focused on specific case-studies from social and employment policy. The workshop was organized under Component 3 “Final versions of legal initiatives in the context of EU approximation are revised against relevant directives for ensuring EU compliance” of the Twinning Project. The aim of this practically-oriented training event was to share the experience of those four EU member states in transposing EU regulations into corresponding national legal acts and ensuring, at the same time, a high level of compliance. Participants included the staff members of the Parliament Secretariat, Secretariat of the Parliamentary Committee for Social Protection, Health and Family and other standing committees, Information-Analytical Directorate and representatives of the Ministry of Agriculture, Regional Development and Environment. The Resident Twinning Adviser, Ms. Natália Švecová, underlined that “in order to provide the best expertise in this field, both governmental and parliamentary experts from EU member states were invited for this workshop to share their good practices, but also lessons learn from the pre-accession period”. The Twinning project experts Ms. Miroslava Vozáryová, Director of Legal Service Department, Ministry of Foreign and European Affairs of the Slovak Republic; Mr. Wojciech Miller, Legislation Specialist, Legislative Bureau, Sejm of the Republic of Poland; Ms. Éva Szekrényes, Expert Adviser, Foreign Affairs Directorate, Hungarian National Assembly; and Ms. Eva Tetourová, Permanent Representative of the Chamber of Deputies to the EU, Chamber of Deputies, Parliament of the Czech Republic provided detailed information on effective functioning of State Labor Inspectorates, their organization at central and regional level, extending their competences and building their capacities for being able to fulfil additional tasks stemming from newly adopted EU-related legislation. Other subjects thoroughly tackled during the workshop focused on challenges in reducing undeclared work in EU Member State, employment strategies adopted by Governments for decreasing regional disparities, inequalities and social exclusion, addressing equal treatment in employment and occupation, and methods for strengthening social partnership. 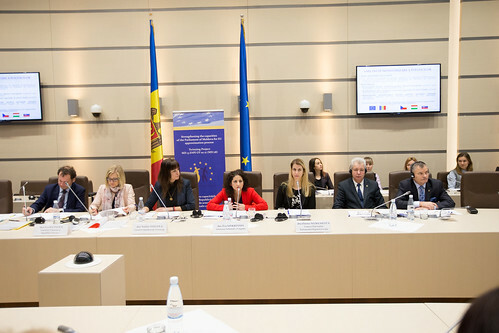 Chisinau, 23 January 2019 – The fifth Steering Committee Meeting of the EU-funded Twinning Project “Strengthening the capacities of the Parliament of Moldova for EU approximation process” was held today for the purpose of evaluating the activities conducted during the fifth Project implementation quarter, covering the period between 16 September – 15 December 2018, and the results achieved therein, as well as for presenting the schedule of activities planned for the sixth quarter. The event, hosted by the Parliament of the Republic of Moldova, gathered the Beneficiary Country and the Member States Project Leaders, the Resident Twinning Adviser and her Counterpart, the representative of the Delegation of the European Union to the Republic of Moldova, the Head of the General Legal Directorate of the Parliament of the Republic of Moldova, the representatives of the State Chancellery, and the representatives of the Hungarian and Czech Embassies to Chisinau. In her opening speech, the Resident Twinning Adviser, Ms. Natália Švecová emphasized that “the Twinning Project is not an activity-driven Project involving one-way communication from the Member State to the Beneficiary Institution, but rather a result-oriented, constant and efficient cooperation with the Beneficiary Parliament”. She proceeded by reporting that in the 5th quarter the Project managed to conduct 22 expert missions within the framework of 11 Activities, with the participation of 34 high-profile experts from the Czech Republic, the Slovak Republic, Hungary, Poland, Latvia, Belgium and France. The outputs of implemented activities included several Training manuals, an Assessment report, and Joint peer review reports on 5 draft laws. In addition, a Study visit for a group of 6 Parliament Secretariat staff members was organized to the Czech Republic for observing the practical aspects of the compliance checking methodologies applied by the Czech Parliament and Government. Ms. Švecová also provided statistical information on the number of activities successfully carried out during the 15 months of Project implementation and the tangible results registered by the Project in this period. Mr. Štěpán Pecháček, Member State Senior Project Leader, Director of the Parliamentary Institute, Parliament of the Czech Republic presented the progress plan for the sixth Project implementation quarter, describing the activities to be conducted in each Project Component. He especially referred to a series of 7 roundtable discussions with Members of parliamentary standing committees on specific titles of the Association Agreement to be organized after the election of the new Parliament. In this connection, he also emphasized the importance of another set of activities involving the training of 12 future trainers, who would ensure continuation of the EU-related induction of newly elected MPs and newly hired staff members after the Project. The BC Project Leader, Mr. Igor Klipii, Deputy Secretary General of the Parliament of the Republic of Moldova, mentioned the efficient cooperation with the Project and stated that peer review exercises were well organized and represented a double investment for the Parliament, by both increasing the knowledge and practice of its staff members and by improving the legal standards of the country. He also emphasized that so far the Project had focused its activities mainly on the Parliament Secretariat and expressed his hope that the results achieved so far would also impact the political side. Mr. Eduard Pesendorfer, Project Manager, Delegation of the European Union to the Republic of Moldova, praised the result-oriented approach of the Project, highlighting that ownership and sustainability were extremely important to the Delegation of the European Union. Mr. Zoltán Horváth, MS Junior Project Leader, declared that the last 2 quarters of Project implementation, in particular, had revealed that Twinning Projects were useful tools for Parliaments, as they represented cooperation instruments between counterpart institutions from Member States and Beneficiary Country. Therefore, Parliaments could better understand the needs and challenges of other Parliaments and adjust the Twinning activities accordingly. The next Steering Committee Meeting of the Twinning Project will be held in April 2019 and will be focused on the activities implemented during the sixth Project implementation quarter. Chisinau, 11 December 2018 – A series of two new activities focused on inter-parliamentary activities and parliamentary diplomacy was launched today with a workshop organized by the Twinning Project under the framework of Component 2 “Level of understanding of the EU acquis in the Parliament is improved through all relevant sectors”. The workshop aimed to share best practices and lessons learnt in the field of bilateral and multilateral parliamentary diplomacy and inter-parliamentary cooperation, with particular emphasis put on functioning of parliamentary diplomacy during the association and pre-accession period. The primary workshop target group included staff members of the External Affairs Directorate and of the Secretariat of Parliamentary Committee for Foreign Policy and European Integration. The Twinning Project experts, Mr. Péter Sárdi, State Secretary, Director for Foreign Relations, Hungarian National Assembly; Ms. Daša Smetanková, Research Analyst, Parliamentary Institute, Chamber of Deputies, Parliament of the Czech Republic; Mr. Martin Cimerman, Foreign Policy Adviser of Speaker of the National Council of the Slovak Republic and Mr. Julien Barbot, Administrator, European Affairs Committee, French National Assembly provided detailed information about inter-parliamentary fora, meetings and organizations; parliamentary dimension of the Presidency of the Council of the European Union, joint parliamentary committees, administrative support provided to the Members of Parliaments during bilateral and multilateral parliamentary diplomacy events, etc. Chisinau, 04 December 2018 – The workshop held on Tuesday was the third step in a series of four activities aimed at strengthening the research capacities of the Secretariat of the Moldovan Parliament, and was focused primarily on the staffers of the Information-Analytical Directorate. Its main objective was to provide a comprehensive introduction to EU-related comparative parliamentary research and to guide the participants through the simulation exercise on drafting comparative study on roles and responsibilities of parliamentary standing committees in EU matters. The Resident Twinning Adviser, Ms. Natália Švecová, underlined that ”the Twinning experts started with an assessment of the current performance of the Information-Analytical Directorate, followed by a workshop on sharing best practices and lessons learned on parliamentary research and EU-perspective in research work. Today, the Project will continue with comparative studies and will provide detailed information about the comparative research design, principles and methodology”. She also informed that in addition to the PowerPoint presentations, a Training manual would also be developed after the workshop, elaborating in detail the topics discussed with the participants. The workshop was structured in two sessions, the first one including four presentations on different aspects of comparative research in EU related matters. Thus, the short-term experts, Mr. Štěpán Pecháček, MS Project Leader, Director of Parliamentary Institute, Parliament of the Czech Republic; Ms. Katarína Kubišová, Head of Division of Parliamentary Research and Education, Parliamentary Institute, National Council of the Slovak Republic; Ms. Ida Kelemen, Head of MPs Information Service, Hungarian National Assembly, and Ms. Marianna Györkös, Expert Adviser, Directorate for Foreign Relations, Hungarian National Assembly, explained in detail the basic principles of parliamentary research, the types of research studies and papers, the structure and sources of information of comparative studies, the visualization and branding of research papers, etc. During the second workshop session, the short-term experts guided the beneficiary side through a simulation exercise that involved a prior assignment given to the Information-Analytical Directorate to draft a comparative study on roles and responsibilities of parliamentary standing committees in EU matters. The experts assessed and discussed the results of the simulation exercise presented by their Moldovan counterparts and provided constructive feedback. The fourth activity to conclude this series of research skills strengthening activities will be organized in February 2019 and will entail the development of Guidelines to enhance research capacities to support EU-related activities. Chisinau, 26 November 2018 – The practically-oriented series of training events presenting detailed case studies from four areas of the EU acquis continued today with a two-day workshop dedicated to the environmental acquis. The workshop was organized under the framework of Component 3 “Final versions of legal initiatives in the context of EU approximation are revised against relevant directives for ensuring EU compliance” of the Twinning Project and aimed to present the experience of the Czech Republic, Slovak Republic, Hungary and Poland in the field of waste and resource management, regulation of genetically modified organisms, Environmental Impact Assessment and Strategic Environmental Assessment. Participants included the staff members of the Parliament Secretariat, secretariat of the Parliamentary Committee for Environment and Rural Development and other standing committees and the representatives of the Ministry of Agriculture, Regional Development and Environment. The Resident Twinning Adviser, Ms. Natália Švecová, informed that the workshop was part of Component 3 of the Twinning Project, which was practically-oriented and focused on compliance checking. “Our experts from 4 Member States will present their national experience on transposition of the EU acquis in the environmental area, the challenges posed and the solutions identified and will provide detailed information about their national legislation in this area.” The RTA also emphasized that in addition to the PowerPoint presentations, a Training manual would also be developed after the workshop, elaborating in detail the topics discussed with the participants. The Twinning Project experts, Mr. Filip Ficner, Head of Secretariat of Committee for European Affairs, Chamber of Deputies, Parliament of the Czech Republic; Ms. Janetta Kubicová, Legal Advisor, Department of Legislation and Law Approximation, National Council of the Slovak Republic; Ms. Csilla Schalbert, Expert Advisor, Hungarian National Assembly; and Mr. Wojciech Miller, Legislation Specialist, Legislative Bureau, Sejm of the Republic of Poland referred to the EU legislation on waste, strategic targets of the waste management plans, division of competencies of national and regional authorities involved in the Strategic Environmental Assessment, the regime of GMOs and GMMs in their national countries during the association and pre-accession period, as well as nowadays. The next case study workshop on transposition of specific EU acquis chapters will take place in January 2019. A study visit was conducted to the Chamber of Deputies of the Parliament of the Czech Republic, during 29 October - 1 November, for staff-members from the Secretariat of the Parliament of the Republic of Moldova. The study visit was organized following the main project objective - strengthening institutional capacity of the Parliament of Moldova for better understanding of the EU approximation process based on EU member states best practices. This was the third event of this type as part of Component 3 Final versions of legal initiatives in the context of EU approximation are revised against relevant directives for ensuring EU compliance of the EU-funded Twinning project “Strengthening the capacities of the Parliament of Moldova for EU approximation process”. The key objectives of the study visit were for the participants from Moldova to get acquainted with the Czech experience regarding the revision mechanisms of EU acquis in order to ensure EU compliance, as well as to exchange practical information and views on their application during the previous pre-accession and association period, but also nowadays. The Moldovan delegation, composed of six members, civil servants from parliamentary administration, had several meetings with the representatives of the Chancellery of the Chamber of Deputies focused on the main functions of the Chamber of Deputies, its legislative process, institutional system to ensure the approximation processes at national and parliamentary level, as well as concrete procedures based on Czech case-studies. The EU transposition work and compliance checking procedure were also tackled with the participants at the Department of the EU law compatibility of the Office of the Government. Additionally, the existing databases on legislative process, EU documentation and approximation process were among the topics extensively discussed during the meetings. The last part of the visit was dedicated to the meeting with Mr. Ondřej Benešík, Chairman of the European Affairs Committee, Chamber of Deputies of the Parliament of the Czech Republic, who shortly presented the Committee’s main duties and functions, current EU agenda, challenges at national level and key tasks to be accomplished by parliaments before accession. Mr. Benešík emphasized that approximation of legislation is highly important to be started even though a country is not granted a clear prospect of joining EU as by the time of accession the countries have to fully transpose and implement the EU legislation that is certainly a time-consuming obligation for the national transposition process. Chisinau, 13 November 2018 – The series of four workshops under the framework of the Specialized Training Programme, implemented in Component 2 “Level of understanding of the EU acquis in the Parliament is improved through all relevant sectors” of the Twinning Project, was concluded on Tuesday with a final workshop on the objectives, instruments, and structure of the EU acquis on employment and social protection. The three sessions of the workshop presented the Czech and Slovak experiences in this area, both during the pre-accession period and nowadays. In addition to the PowerPoint presentations held by the 3 Twinning Experts, the topics of the workshop will be further developed in a Training manual, to be subsequently distributed to all workshop participants. The Twinning Project experts, Mr. Michal Pohl, Legal Advisor, Department of EU Affairs, Parliamentary Institute, Parliament of the Czech Republic; Ms. Eva Balounová, Legal Advisor, Department of EU Affairs, Parliamentary Institute, Parliament of the Czech Republic; and Ms. Janetta Kubicová, Legal Advisor, Department of Legislation and Law Approximation, National Council of the Slovak Republic provided an overview of social rights in the European Union and spoke about the equal treatment and protection of health and safety in the workplace, gender equality, inclusive labor market, representation and collective defense of workers’ interests, employment policy and the European Social Fund. The experts also described the major challenges faced by the Czech Republic and the Slovak Republic with regards to approximation in this area and addressed the commitments of the Republic of Moldova in this particular EU acquis field. Chisinau, 06 November 2018 – The third and final workshop under the framework of Component 4 “Inter-institutional cooperation of the Parliament of Moldova and Government of Moldova is improved for better coordination of the EU approximation process” of the Twinning Project was held today in the Parliament of the Republic of Moldova. The aim of this particular workshop was to provide information about the oversight function of the Parliament and the post-legislative scrutiny work performed by it and to present three case studies explaining the division of powers, Regulatory Impact Assessments and post-legislative scrutiny in the Czech Republic, Belgium and France. The workshop was attended by staff members of the Parliament Secretariat, standing committees’ secretariats, representatives of the State Chancellery and of the Center for Legal Approximation. The Resident Twinning Adviser, Ms. Natália Švecová, informed that “the Twinning Experts from 3 Member States will provide detailed information about the oversight function and tools not only during the legislative process, but also before it, the so-called ex ante parliamentary oversight, carried out by means of regulatory impact assessments. The presentations will also address the post-legislative oversight explaining the way the Parliament monitors and evaluates whether the adopted laws are achieving in practice the intended policy aims and outcomes”. The RTA also informed that in addition to the PowerPoint presentations, a Training manual describing in detail the case studies presented during the workshop would also be provided. The Twinning Project experts, Ms. Jindřiška Syllová, Legal Advisor, Chamber of Deputies, Parliament of the Czech Republic; Mr. Jan Deltour, Director, Legislative Services, Belgian House of Representatives, and Ms. Gabrielle Guerrero Jimenez, Advisor, Inter-parliamentary Cooperation Unit, French National Assembly described the instruments employed to improve the quality of legislation, the mechanisms for monitoring and evaluating the implementation of laws, and the role of parliamentary administration during post-legislative scrutiny work in their national parliaments. At the end of the workshop, two books, in English and French, on the powers and role of the French National Assembly in the French Constitutional System, were gifted to the library of the Moldovan Parliament. Chisinau, 23 October 2018 – The aim of the workshop organized by the Twinning Project was to provide participants with knowledge on EU-related parliamentary and legislative research and to present best practices and lessons learnt from three EU Member States based on case studies. A particular subject that aroused interest among participants was the EU-related written materials produced by Parliaments in EU Member States – an overview of ECPRD comparative request that summarizes the specific features of EU-related Newsletters prepared by National Parliaments. The next workshop to tackle in detail the parliamentary research methodology will be organized by the Twinning project early in December 2018. Chisinau, 16 October 2018 – The workshop conducted on Tuesday is the third in a series of four Twinning workshops under the framework of Component 2 “Level of understanding of the EU acquis in the Parliament is improved through all relevant sectors”. The workshop was structured in three sessions dedicated to Common Agricultural Policy, including common market organization, and Rural Development Policy and provided relevant examples of the Czech, Slovak and Polish experience in this area during association and pre-accession period. The Twinning experts also addressed the topics of land consolidation and acquisition of land by foreigners, requested by the secretariat of the Committee for Agriculture and Food Industry. Ms. Natália Švecová, Resident Twinning Adviser, highlighted that the aim of the third workshop under the framework of the Specialized Training Programme was to present a general overview of the agriculture acquis and to facilitate interactive discussions between Twinning experts and participants in this particular field. She also emphasized that in addition to the PowerPoint presentations held by 3 Twinning Experts from 3 Member States, a Training manual would also be developed after the workshop, elaborating on the topics discussed with the participants. The Twinning Project experts, Ms. Eva Balounová, Legal Advisor, Department of EU Affairs, Parliamentary Institute, Parliament of the Czech Republic; Ms. Viera Baričičová, Senior Advisor, Ministry of Agriculture and Rural Development of the Slovak Republic; and Mr. Wojciech Miller, Legislation Specialist, Legislative Bureau, Sejm of the Republic of Poland provided detailed information about the structure, legal basis, financing and perspectives of the Common Agricultural Policy, common market organization, knowledge-based farming, organic farming, rural development programs etc. The experts also addressed the commitments of the Republic of Moldova in these particular EU acquis field. The next advanced training aimed at the EU acquis on social policy and employment will take place in November 2018. Chișinău, 5 decembrie 2017 – Cele mai bune practice ale Ungariei, Slovaciei, Cehiei și Poloniei privind rolul și funcționarea organelor de lucru ale Parlamentului în contextul relațiilor cu UE au fost astăzi împărtășite de experți în cadrul unui atelier de lucru, organizat la Parlamentul Republicii Moldova. În debutul ședinței, Consilierul Rezident de Twinning, Natália Švecová a menționat că evenimentul este al doilea din seria de trei ateliere ale proiectului Twinning ”Consolidarea capacităților Parlamentului Republicii Moldova în procesul de armonizare a legislației naționale cu legislația UE”. ”Scopul ședinței este de a facilita discuții practice între funcționarii Parlamentului și experții celor patru țări membre UE pe subiecte ce țin de monitorizarea politicilor și controlul asupra procesului de asociere, precum și de realizarea sarcinilor de armonizare a legislației cu cea comunitară”, a specificat Natália Švecová. Potrivit Consilierului Rezident de Twinning, următorul atelier va fi organizat în februarie 2018. Experții proiectului Éva Szekrényes, Reprezentant permanent al Adunării Naționale la UE, Eva Kičinová, Șefa Secretariatului Comisiei pentru afaceri economice, Consiliul Național al Republicii Slovace, Darina Nezkusilová, Consilier juridic în cadrul Departamentului pentru afaceri europene, Institutul Parlamentar, Camera Deputaților a Parlamentului Republicii Cehe, și Ilmars Solims, Consultant în cadrul Comisiei pentru afaceri europene, Saeima Letoniei au vorbit despre experiențele țărilor pe care le reprezintă în contextul relațiilor cu Uniunea Europeană. În cadrul atelierului au fost abordate aspecte ce țin de cooperarea dintre organele de lucru ale Parlamentului și instituțiile UE în perioada de preaderare, coordonarea între diferite organe de lucru parlamentare în realizarea sarcinilor aferente procesului de asociere și rolul organelor de lucru ale Parlamentului în informarea publicului larg cu privire la procesul de asociere. Atelierul este organizat în cadrul proiectului Twinning pentru Republica Moldova ”Consolidarea capacităților Parlamentului Republicii Moldova în procesul de armonizare a legislației naționale cu legislația UE”, finanțat de Uniunea Europeană. Proiectul este implementat, în perioada septembrie 2017 – septembrie 2019, de către Camera Deputaților Parlamentului Republicii Cehe, Consiliul Național al Republicii Slovace și Adunarea Națională a Ungariei, în cooperare cu Parlamentul Republicii Moldova. Chișinău, 1 decembrie 2017 – Atelierul de lucru privind rolul și funcționarea organelor de lucru ale Parlamentului în contextul relațiilor cu UE va avea loc marți, 5 decembrie 2017, începând cu ora 09.00, în Sala Europei din Parlament. Obiectivul-cheie al atelierului este de a împărtăși cele mai bune practici și lecții învățate de cele patru state membre UE – Ungaria, Slovacia, Cehia și Letonia, din experiența recentă de aderare la UE. Experții proiectului sunt: Éva Szekrényes, Reprezentant permanent al Adunării Naționale la UE, Eva Kičinová, Șefa Secretariatului Comisiei pentru afaceri economice, Consiliul Național al Republicii Slovace, Darina Nezkusilová, Consilier juridic în cadrul Departamentului pentru afaceri europene, Institutul Parlamentar, Camera Deputaților a Parlamentului Republicii Cehe, Ilmars Solims, Consultant în cadrul Comisiei pentru afaceri europene, Saeima Letoniei. Discuțiile practice vor viza rolurile și responsabilitățile organelor de lucru ale Parlamentului în procesul de monitorizare a politicilor de asociere, precum și în realizarea sarcinilor de armonizare a legislației naționale cu legislația UE. În cadrul atelierului vor mai fi abordate aspecte ce țin de cooperarea dintre organele de lucru ale Parlamentului și instituțiile UE în perioada de preaderare, coordonarea între diferite organe de lucru parlamentare în realizarea sarcinilor aferente procesului de asociere și rolul organelor de lucru ale Parlamentului în informarea publicului larg cu privire la procesul de asociere. Atelierul este organizat în cadrul proiectului Twinning pentru Republica Moldova ”Consolidarea capacităților Parlamentului Republicii Moldova în procesul de armonizare a legislației naționale cu legislația UE”, finanțat de Uniunea Europeană. Proiectul este implementat de către Camera Deputaților Parlamentului Republicii Cehe, Consiliul Național al Republicii Slovace și Adunarea Națională a Ungariei, în cooperare cu Parlamentul Republicii Moldova. Chișinău, 21 noiembrie 2017 – Rolurile și responsabilitățile Parlamentelor și Guvernelor naționale în procesul de armonizare a legislației în perioada de pre-aderare, precum și reglementările interne necesare pentru aceasta au fost discutate astăzi, în cadrul unui atelier de lucru, desfășurat în incinta Legislativului. Evenimentul cu genericul ”Reglementările interne în contextul armonizării legislației naționale cu legislația UE” a întrunit funcționarii publici din cadrul Parlamentului și Guvernului Republicii Moldova care au fost instruiți în privința procesului de armonizare a legislației naționale cu cea comunitară. În deschiderea atelierului, șeful Direcției generale juridice a Parlamentului Republicii Moldova, Ion Creangă a menționat că procesul de armonizare a legislației naționale la cea europeană este unul obligatoriu și prioritar pentru tehnica legislativă actuală. ”Este un proces complex, aflat în desfășurare și care presupune implicarea mai multor autorități publice. Experiența altor țări, la acest capitol, este foarte importantă pentru Republica Moldova”, a spus Ion Creangă. Consilierul Rezident de Twinning, Natália Švecová a menționat că scopul acestui prim exercițiu este de a împărtăși cele mai bune practici și lecții învățate de cele patru state membre UE – Ungaria, Slovacia, Cehia și Polonia, din experiența recentă de aderare la UE în contextul stabilirii rolurilor și responsabilităților Parlamentelor și Guvernelor naționale în procesul de armonizare a legislației în perioada de preaderare. Potrivit Natáliei Švecová, în următoarea perioadă vor fi organizate mai multe instruiri la acest subiect. Experții Csaba Gergely Tamás (Ungaria), Milan Hodás (Slovacia), Martin Kavěna (Cehia), Bartosz Pawłowski (Polonia) s-au referit la experința țării pe care o reprezintă în procesul de armonizare a legislației. Aceștea au vorbit despre mijloacele de comunicare dintre Guvernele și Parlamentele naționale în procesul de armonizare cu legislația UE (persoane de contact, instrumente IT, structuri de coordonare etc.) și reglementările interne (structuri, proceduri, metode, mijloace) necesare pentru procesul de armonizare a legislației naționale cu legislația UE la nivel de Parlament. La discuții au participat angajați ai Secretariatului Parlamentului, inclusiv din cadrul Comisiilor parlamentare permanente, precum și reprezentanți ai Cancelariei de Stat, Ministerului Justiției, Ministerului Afacerilor Externe și Integrării Europene. Chișinău, 16 noiembrie 2017 – Funcționarii publici din cadrul Parlamentului și Guvernului vor fi instruiți în privința procesului de armonizare a legislației naționale cu legislația UE. Atelierul de lucru ”Reglementările interne în contextul armonizării legislației naționale cu legislația UE” va avea loc marți 21 noiembrie, cu începere de la ora 09.00. Obiectivul-cheie al atelierului este de a împărtăși cele mai bune practici și lecții învățate de cele patru state membre UE – Ungaria, Slovacia, Cehia și Polonia, din experiența recentă de aderare la UE în contextul stabilirii rolurilor și responsabilităților Parlamentelor și Guvernelor naționale în procesul de armonizare a legislației în perioada de pre-aderare. Experții Csaba Gergely Tamás (Ungaria), Milan Hodás (Slovacia), Martin Kavěna (Cehia), Bartosz Pawłowski (Polonia) se vor referi la mijloacele de comunicare dintre Guvernele și Parlamentele naționale în procesul de armonizare cu legislația UE (persoane de contact, instrumente IT, structuri de coordonare etc.) și reglementările interne (structuri, proceduri, metode, mijloace) necesare pentru procesul de armonizare a legislației naționale cu legislația UE la nivel de Parlament. La discuții vor participa angajați ai Secretariatului Parlamentului, inclusiv din cadrul comisiilor parlamentare, precum și reprezentanți ai Cancelariei de Stat, Ministerului Justiției, Ministerului Afacerilor Externe și Integrării Europene. Chișinău, 13 octombrie 2017 – Parlamentul Republicii Moldova va găzdui ceremonia de lansare a proiectului Twinning pentru Republica Moldova ”Consolidarea capacităților Parlamentului Republicii Moldova în procesul de armonizare a legislației naționale cu legislația UE”, finanțat de Uniunea Europeană. Proiectul este implementat de către Camera Deputaților Parlamentului Republicii Cehe, Consiliul Național al Republicii Slovace și Adunarea Națională a Ungariei, în cooperare cu Parlamentul Republicii Moldova. Ceremonia va fi inaugurată de Președintele Parlamentului Andrian Candu, Ambasadorul UE în Republica Moldova, Peter Michalko, Vicepreședintele Adunării Naționale a Ungariei, Csaba Hende, Președintele Comisiei pentru afaceri europene a Consiliului Național al Republicii Slovace, Lʼuboš Blaha, membrul Comisiei pentru afaceri europene a Camerei Deputaților Parlamentului Republicii Cehe, Marek Černoch și Președinta Comisiei politică externă și integrare europeană a Parlamentului Republicii Moldova, Violeta Ivanov. Evenimentul, care va reuni deputați și diplomați, va avea loc luni, 16 octombrie 2017, ora 14.00, în Sala Europei. This Twinning Project is implemented by the Chamber of Deputies of the Parliament of the Czech Republic, National Council of the Slovak Republic and Hungarian National Assembly. It will last 2 years from 16 September 2017 until 15 September 2019. The overall objective of the project is to facilitate the implementation of the Association Agreement between the European Union and the Republic of Moldova. The purpose of the project is to strengthen the institutional capacity of the Parliament of Moldova for better understanding of the EU approximation process, in line with the Association Agenda. Special focus will be put on improving the structures, internal procedures as well as the capacity of the technical staff of the Parliament. The project’s mission is to optimize the roles and responsibilities of the Parliament, its working bodies and respective administrative structures to ensure a solid institutional framework for efficient performance of the legislative obligations, especially the EU legal approximation tasks as a prerequisite for the implementation of the Association Agreement. It will also focus on capacity building activities, both at basic and advanced levels. In total 60 experts from the Czech Republic, Slovakia and Hungary, but also from Poland, Latvia, France and Belgium will implement more than 65 different activities in 4 components aiming at different goals: assessments, evaluations, roundtables, guidelines, recommendations, white paper, study, roadmap, various forms of capacity building activities (seminars, workshops, peer reviews, training of trainers, etc.) and study visits to EU Member States. Target groups are staff members of the Secretariat of the Parliament of the Republic of Moldova; where appropriate, Members of the Parliament of the Republic of Moldova and where appropriate, selected stakeholders from executive branch of the Republic of Moldova. Chișinău, 16 octombrie 2017 – Capacitățile instituționale ale Parlamentului Republicii Moldova în procesul de armonizare a legislației naționale cu legislația UE vor fi consolidate în cadrul unui proiect finanțat de Uniunea Europeană. Proiectul Twinning pentru Republica Moldova ”Consolidarea capacităților Parlamentului Republicii Moldova în procesul de armonizare a legislației naționale cu legislația UE” este implementat de către Camera Deputaților Parlamentului Republicii Cehe, Consiliul Național al Republicii Slovace și Adunarea Națională a Ungariei, în cooperare cu Parlamentul Republicii Moldova. Bugetul proiectului este de 1,5 milioane de euro, iar perioada de implementare este 2017-2019. Parlamentul Republicii Moldova a găzduit astăzi ceremonia de lansare oficială a proiectului Twinning. Participanții la eveniment au fost salutați de Președintele Parlamentului Andrian Candu, Ambasadorul Uniunii Europene în Republica Moldova, Peter Michalko, Vicepreședintele Adunării Naționale a Ungariei, Csaba Hende, Președintele Comisiei pentru afaceri europene a Consiliului Național al Republicii Slovace, Ľuboš Blaha, Ambasadorul Republicii Cehe în Republica Moldova, Zdeněk Krejčí și Președinta Comisiei politică externă și integrare europeană a Parlamentului Republicii Moldova, Violeta Ivanov. ”Pentru realizarea obiectivului prioritar de integrare europeană, Republica Moldova are nevoie de instituții puternice, deoarece sarcina nu este ușoară. Grupul de la Visegrád sunt țări cu o experiență de sute de ani de parlamentarism și care au trecut prin perioade similare Republicii Moldova: socialismul și procesul de integrare europeană. Sunt încrezător că prin proiectul Twinning, ele își vor împărtăși experiența, necesară pentru a implementa calitativ prevederile Acordului de Asociere, cu o viteză mai mare și ne va ajuta să evităm unele greșeli”, a declarat Președintele Parlamentului Andrian Candu. ”Suntem bucuroși să lansăm acest proiect Twinning împreună cu partenerii noștri din statele membre. Cu sprijinul UE, ei vor împărtăși experiența și abilitățile lor valoroase, pentru a contribui la consolidarea capacităților instituționale ale Parlamentului Republicii Moldova în materie de proceduri legislative”, a declarat Ambasadorul Uniunii Europene în Republica Moldova, Peter Michalko. Obiectivul proiectului constă în facilitarea implementării Acordului de Asociere dintre Uniunea Europeană și Republica Moldova. Misiunea proiectului este de a optimiza rolul și responsabilitățile Parlamentului, a organelor sale de lucru și a structurilor administrative relevante pentru a asigura un cadru instituțional solid în vederea realizării eficiente a atribuțiilor legislative, în special în procesul de armonizare a legislației ca o precondiție pentru implementarea Acordului de Asociere. Totodată, proiectul va contribui la îmbunătățirea schimbului de informații dintre Parlament și Guvern în contextul procesului de armonizare a legislației. 60 de experți din Republica Cehă, Slovacia, Ungaria, precum și din Polonia, Letonia, Franța și Belgia vor contribui la implementarea a peste 65 de activități diverse în cadrul celor patru componente, vizând diferite obiective: evaluări, mese rotunde, elaborarea de ghiduri, recomandări, precum și un document de consultare, un studiu, o foaie de parcurs, activități de instruire (seminare, ateliere de lucru, evaluări etc.) și vizite de studiu în statele membre UE.